Cabbage soup is healthy, vegan, low-calorie, low-fat, low-carb, and can even assist with weight loss. It can also help maintain a healthy weight when eaten on a regular basis. For centuries, all around the world, people have used variations of cabbage soup to maintain good health and even assist with dropping a few pounds last minute before an important event. Also, cabbage soup is perfect for warming up and providing much needed vitamins in the cold months like vitamin C, vitamin A, and vitamin K that are crucial to optimal health during winter. Plus, my cabbage soup recipe has just a teensy bit of spice to it, to help warm the old bones, ease digestion, and clear the sinuses. However, most people just eat cabbage soup any time of year because it tastes great, the ingredients are easy to find in any grocery store and are inexpensive, and it’s very easy to make. I use all organic ingredients, but you can substitute any of them for conventionally grown veggies and spices, if needed. My homemade vegan cabbage soup recipe is savory with just a hint of spiciness, but best of all, it’s cruelty-free and includes only vegan and organic ingredients. Whether you’re a vegan or not, give this recipe a try, and if you love it like I do, make it a regular recipe in your household for maintaining good health. Serves 6 and it’s only 57 calories per serving! Chop the celery and onion into small pieces. In a large stock pot, saute celery, onion, and garlic in the extra virgin olive oil. Add all remaining ingredients into the stock pot and simmer over medium heat for approximately 30 minutes. Serve it hot for best taste. It’s a new life for me. I plan to read a new libertarian, objectivist, individualist, anarchist, agorist, or voluntaryist book each week. I seek to broaden my horizons even further and learn even more about these philosophies that I love and find so interesting. I want to continue to challenge my long-held views and see if they still hold up. Re-examine old ways of thinking. I already read these types of literature on a regular basis, but I know I can do more. There’s still so much to learn! And still so much to teach my children, so that they can teach their children, and so on. So little time, so much to read! Starting this year, I will delve into researching the works of all the great free thinkers, and then tell others about my favorites, and about what I’ve learned from them. I will share the works and writings of those great free thinkers here, and with my family and friends both in person and on social media. These ideas were made to be shared! Continue to sow seeds of liberty in the hearts and minds of my spouse, my children, my extended family, and my friends. This year, I plan to tell my friends and family about every great liberty-minded book I’ve read—new or old—and give them a copy or send them a link so they can read it themselves and maybe even share it with others. I will open up to my extended family and my friends about what I’ve learned on my quest for liberty, peace, healthy living, and about my transition as a free-thinking individual. This year, I will adopt a willingness to listen and learn. When others have something to say, I will listen to them. Really listen. I won’t assume. I won’t argue. I won’t insult them. And I won’t talk down to them. I will encourage their questions, listen to what they have to say, and acknowledge their concerns. I will do my best to always respond with equanimity and compassion. You catch more flies with honey. My body is a temple. My temple. The temple of me. This year, I aim to keep it sacred, to honor it, and quit treating it like a trashcan. Aim for at least 30 minutes of exercise or movement each day, without exception. This year, I plan to walk outside in the fresh air for at least 30 minutes every day to get the blood pumping and boost my heart rate. I used to do this habitually, ritually, and I absolutely loved it. I was also in excellent shape and looked and felt great! I want to get back to that place. Recruit a friend or family member to walk with me whenever I can. Maybe I can even turn it into a regular routine for our mutual benefit. If walking alone, I will consider combining my walk with a mindfulness meditation. Whenever possible, I’ll venture out of my neighborhood and out into the wilderness. There’s so much beautiful untouched desert nearby. I’ll find a path, or forge my own path — the path less taken, where the State is nowhere to be seen. ‘You are what you eat’, as they say. As a freedom-lover, opposed to violence, cruelty, and injustice, I’ve made a steady progression over the years towards eating increasingly ethically. In September of 2016, I made the informed choice to go Vegan. I’m so glad I did! Dr. Mark Hyman’s so-called “Pegan” way of eating. Set aside time for Kundalini yoga or some other kind of mindfulness meditation every single day. Whether it’s just finding time to meditate for 3 minutes during a hectic day, or luxuriating in a full half-hour of Kirtan Kriya — this year, and from now on, I won’t allow myself to blow off the importance of cultivating my own inner peace and love. This year, I’ll make nourishing my soul a priority and a daily ritual, like my morning coffee. Even your morning cup of coffee can be a mindfulness meditation, if you’re a coffee-lover like me. I’m inspired just thinking of all the ways I can shift my lifestyle into greater alignment with my liberty and peace-loving values. Maybe you’ve already done this to some extent. You probably have. But there’s always room for improvement. Wishing you and yours a healthy, happy, peaceful, and prosperous New Year! Prepare to be enlightened. This might just be my favorite Big Think video of all time. Watch it, and then watch it again. Repeated complaining damages your brain and rewires it to make future complaining more likely. Fortunately, there are some proven ways to cut back on complaining. Hey, why not? It’s only six minutes long and I’m open minded. I figured I could squeeze in a quick video before getting started on my work for the day. Maybe before we go any further, you should check it out too, just to bring you up to speed. That bit really got my attention. I mean, I would never willfully participate in needless violence. Besides that, the meat, eggs, and dairy I consume and buy for my family are sustainably sourced and humanely treated. That’s the paleo and primal way. 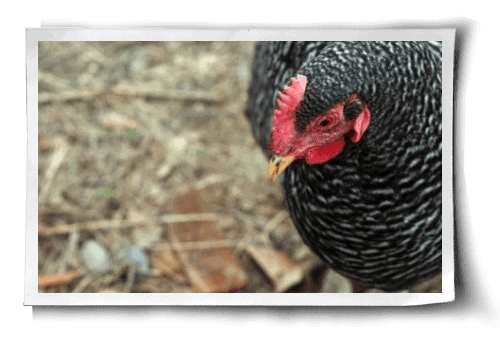 They’re raised without added hormones or antibiotics, cage-free, free-range, or backyard raised by local farmers whenever possible, and of course, they are organic. And after the livestock have lived out their full, happy, healthy lives, they are butchered in the most humane way possible. As I sipped my coffee and proceeded to watch the video, that statement about trying to understand why otherwise good and caring people continue to participate in needless violence turned over and over in my head. I mean, I really try to be a good and caring person. I’m against violence and coercion. I believe in peace. I love animals, and take excellent care of my own furry friends. I have even fostered and adopted many animals, and helped find fur-ever homes for others. I’ve fed and cared for strays, and in some cases taken them in. I always search Environmental Working Group’s Skin Deep database before buying beauty products to make sure they’re safe for me and cruelty-free for animals. My typical diet has been kind of a blend of paleo and primal, but some days I eat entirely vegetarian. Sometimes I do Meatless Mondays for my family’s dinnertime meal. I care about food being sustainably sourced, as well as the ethical treatment of farm animals, and I participate in—and advocate for—ethical and local consumerism. In fact, I’ve written a lot about ethical consumerism. I have an entire section on my blog dedicated to it because it’s something I’m passionate about. I care about farm animals being humanely raised and I want to do my part as a consumer to ensure that animals are treated well and that my dollars are spent on positive things. I also grow a lot of my own organic fruits, vegetables, and herbs for organic food for my family, and I had a pretty awesome plan to incorporate backyard laying hens into it so that my family and I would have fresh eggs from well-kept healthy, happy chickens. This idea delighted me and I have been anxious to put my plan into action as soon as possible! My backyard chickens would be living the sweet life! Check out this discussion that took place in the comments under the video that started it all. After reading the discussion above, I found this article called, Do Chickens Mourn the Loss of Their Eggs? at a blog called Gentle World. (The name of the blog alone already had a hold on my heartstrings.) I had a pretty good idea what the article would say. I knew I would be confronted with an uncomfortable truth. I knew I wouldn’t like what I’d find, and that it might reveal something to me about myself that might be painful to confront. True to my truth-seeker soul, I trudged on ahead and read the article. “Although today’s egg-laying hens are the descendants of the Red Jungle Fowl (Gallus gallus) which laid around 60 small eggs a year, most modern domestic hens have been bred to lay over 300 large eggs a year. If free to behave “naturally,” most chickens will lay the number of eggs they desire for a proper nest and then stop producing more eggs until her chicks are old enough to fend for themselves. The time before her eggs hatch, while she sits on her nest warming and protecting her eggs, is called the “brooding” stage. —Alisa Rutherford-Fortunati for Gentle World, Do Chickens Mourn the Loss of Their Eggs? I never knew that chickens naturally—when allowed to live free of coercion—actually plan their families and then stop producing eggs. I didn’t know that removing a chicken’s unfertilized egg was stressful to the chicken or unhealthy for her quality of life. I never thought about her eggs being hers. I didn’t realize chickens keep laying eggs that we keep stealing because they’re trying futilely to have the family they desire. “On this particular morning I was helping trim back some lavender on a farm I was volunteering at. My host and I were well into chopping back the lavender when we suddenly heard an agitated clucking below us. As we moved back one of the bushes we discovered a large black hen who had started a nest. She was attempting to shield her brood from the intruders hovering above her, but this hen was not a rescue. She had been brought onto the farm to produce eggs, and even though she had been clever enough to attempt a nest away from the chicken cage, her eggs were not considered her own. How we got her to move off her nest is a bit foggy in my memory, but I believe I distracted her while my partner in crime quickly picked her up. And then I snatched her eggs out from under her. I quickly placed the eggs in the fridge for the farm staff to take home, as we didn’t think she had been sitting on the nest long enough for chicks to form. When I went back outside I found the black hen frantically weaving in and out of the lavender, calling to her fellow chickens, some of whom ran over to her aid as she continued searching for her missing eggs. I tried to push my guilt aside and continue on my day. But when we returned for lunch, hours later, she was still there moving slowly in and out of the lavender and muttering to herself as she searched in vain. I voiced my guilt to my host and we debated about whether we should put the eggs back. Finally it was decided it was too late, the eggs had been cold too long and we had to let it be. Each egg laid had in some way drained her body of calcium and other essential nutrients*, unnecessarily shortening her life to feed her captors. And now, no matter how long her small sad eyes searched, all her work was lost. Libertarians, individualists, voluntaryists, and peaceful anarchists are big on property rights. After all, the philosophy of liberty is that you own your life, your liberty, and your property. You also own the product of your labor, and no one else can lay claim over any of these things because they belong to you and that would be stealing. Voluntaryists, in particular, believe that all interactions should be voluntary and free of coercion. And let’s not forget the Non-Aggression Principle that libertarians, voluntaryists and peaceful anarchists adhere to. As advocates for property rights, freedom, and against violence, oppression, and coercion, shouldn’t libertarians, individualists, voluntaryists, peaceful anarchists, and anyone who believes in non-violence consider applying the Non-Aggression Principle to the treatment of farm animals too? Of course we should. It’s our job to be the change. It’s our job to show others the better way by living it rather than just by talking about it. We need to confront our darkness where it hides, and carefully scrutinize it. If what we say we believe doesn’t add up with the way we are actually living our lives—and teaching our children by example—then we need to re-evaluate how far we’ve really come as enlightened thinkers and truth seekers. Being a truth seeker sometimes takes you places you never thought you’d go. I have experienced this phenomenon many times, but I certainly never thought it would take me down the road to veganism. Though truth-seeking can be a rough and uncomfortable ride, it’s always worth it. And you get to meet some pretty cool fellow truth seekers along the way. Watching that video and reading through the discussion in the comments beneath it prompted me to do further research. I watched several videos over the weekend and read many compelling articles about veganism. I also learned some uncomfortable truths about myself, how far I’ve come, and how far I have yet to go. I will use this new information, and this new perspective to grow. I will be a good example for my children and others. I will do my best to live in greater alignment with my values and my convictions as a libertarian, and as an animal lover. I didn’t realize that I was being willfully ignorant in this area of my life. I never wanted to watch vegan videos or PETA videos because somewhere deep down I think I knew that I would be faced with an uncomfortable truth about myself. And, boy, I was right. I will do better from now on. I hereby commit to living out my compassion for animals, and for the good and caring people who—like me—consider themselves to be ethical animal lovers, and are blissfully unaware of their willful ignorance. It starts with me and how I choose to live my life, and the example I lead for my children and others I interact with. It’s time for a change. A change towards a better, more peaceful world, not only for us humans, but also for non-human species. I won’t ask anyone else to go Vegan. Right now I’m just going to focus on finding my own way. I have a lot to learn. I committed to go Vegan for a week, but each day I feel more and more compelled to dive in and commit all the way. So that’s what I’m going to do. There’s no turning back now. I can’t un-see what I’ve seen. My heart’s changed. This is uncharted territory for me, but it’s my choice because I believe it’s what I should do. I’m not going to push veganism on my family. I want them to ask their own questions in their own time, if they want to. I want them to seek their own truth, and live according to their values and wants and needs (even if they’re different from my own). If my children or my husband have questions about why I’m going Vegan, I will answer them with humility and honesty. I will let them know that I’m learning as I go, but I’m following my heart, and that this is what I believe is right for me. This is my libertarian lifestyle. And it’s a work in progress. Please check out this powerful video by Bite Size Vegan. Compassion for non-human animals has been on my heart and on my mind this weekend. I’m not a vegan or a vegetarian and I have no agenda here, except compassion—compassion and living out my values as fully and completely as possible. I don’t want to willfully forget what I’ve seen, or pretend I that I don’t know what’s really going on. I just want to live well and live right. L.R.Knost, one of my favorite peaceful parenting advocates and the author of 3 books called ‘The Gentle Parent’, ‘Whispers Through Time’, and ‘Two Thousand Kisses a Day‘, is working on an upcoming book called ‘InHumanity: Letters from the Trenches’. She shared this beautiful meme with a quote from her upcoming book on her Facebook page today. If you’re not already following her Facebook page, you should check it out. Every day, she plants little seeds of peaceful parenting and compassion through the memes she shares and the content she writes about. L.R.Knost is also a mom of six and is currently battling a rare neuroendocrine cancer, so now’s the perfect time to purchase one of her books, if you haven’t already. I’m sure every book order helps her and her family as they move through this difficult time in their lives. If L.R.Knost’s peaceful parenting work has touched your life and you’d like to return the favor for her, you can also donate to her YouCare Compassionate Crowdfunding campaign. Thank you, L.R.Knost for speaking up for the next generation, and teaching parents the art of gentle parenting. One of my teenage daughters—a 2nd generation self-professed libertarian and voluntaryist—is a big fan of YouTube star Savannah Brown. I’ve checked out a bunch of her videos and I think she’s amazing! In the video, she elaborates on each of her top 3 core values, and explains why she chose them. My third value is skepticism. And here’s why: This might have to do with the fact that I’m a literal anarchist and have issues with authority. But, as a child, we’re just told to obey the people in charge… without question. In first grade… listen to your teacher because they know. But then, as you get older, you realize that people don’t know, and the people in charge don’t know what they’re talking about. They’re just people… I can think things myself, and I can disagree with people who are seen as higher than me, and I can do that. And sometimes I can be right. Don’t be put off by the fact that she uses the word ‘anarchist’. Although the word anarchy is often confused with things like violence and destruction, chaos and disorder, in truth the word ‘anarchy’ just means without rulers. Anarchists are really just peaceful people who believe individuals can govern themselves. In fact, we all do exactly that in many ways every single day, without even realizing it. What a great inspiration and role model for teenage girls and young women! In the video, she talks about living her life according to her core values. She puts into practice the things that she values most. The world needs more independent feminine voices like hers. I hope more young women will come out publicly and express their thoughts on independence, anarchism, and living life according to our values. They have the power to be thought leaders for the next generation of independent young women. Check out this awesome quote from another one of her videos. Thank you, Savannah Brown. I am grateful for you, your independence, your creativity, and your skepticism. You have chosen to use your sphere of influence in such a beautiful, positive way. The world is enriched by your presence. You have touched my daughter’s heart, and mine as well. You can follow Savannah Brown on YouTube here. And here’s her website where you can order all her cool stuff, like this “My Body is a Temple” poster. "Those of us who are 'disturbers of the universe' are often those whom the universe has treated unkindly and who have decided to fight back, speaking kindness to combat unkindness, hope to overcome defeat, compassion to quell hate, gentleness to counter rage. We are not disturbers of the peace. We are purveyors of peace because we are disturbers of the status quo." "I am not into electoral politics as a way to change society so I don't think in terms of competing with Republicans or Democrats. I believe that lasting change comes from transforming the hearts and minds of people - freedom comes one person at a time - and the pulling of a lever every four years doesn't have much to do with that process. I believe in grassroots activism to improve the daily realities of people, not in electing politicians to positions of power. A politician has never improved my life, has never made me freer." "Libertarianism is the simple morality we learned as children: don't strike first, don't steal or cheat, keep your promises. If you inadvertently fail to live up to these standards, make it up to the person you've harmed. If someone harms you, you may defend yourself as needed to stop the aggressor and obtain reparations. This simple morality works group-to-group just as it works one-to-one to bring about a peaceful and prosperous world."